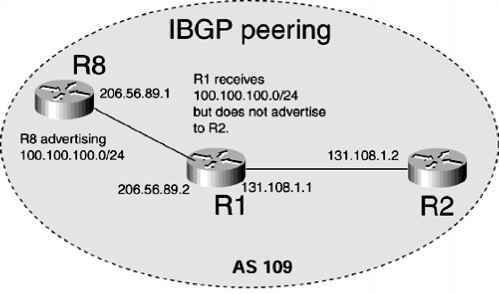 BGP peers reach the Estnblished Bate ufIee they havu succfssUuIIp exch^y ged OPEN an d KEEPAnIVE messagesi After UUf peers rendu the Establiohed state, rhey begin to sbnd UPDATE messages containing routing ^formation and KEEPALIVE messages to verify the TCP Connection Ctate. If an etnor is enFountered at ann time while: a peon is in the EstahiiFhed state, tihe lonal peer send s a NOTI FICATION mes sage with UUie reasou for the e Sror and transitions back to the Idle state. Figure 7-21 shows the various events that might occur while a speaker is in the Enta blished state.